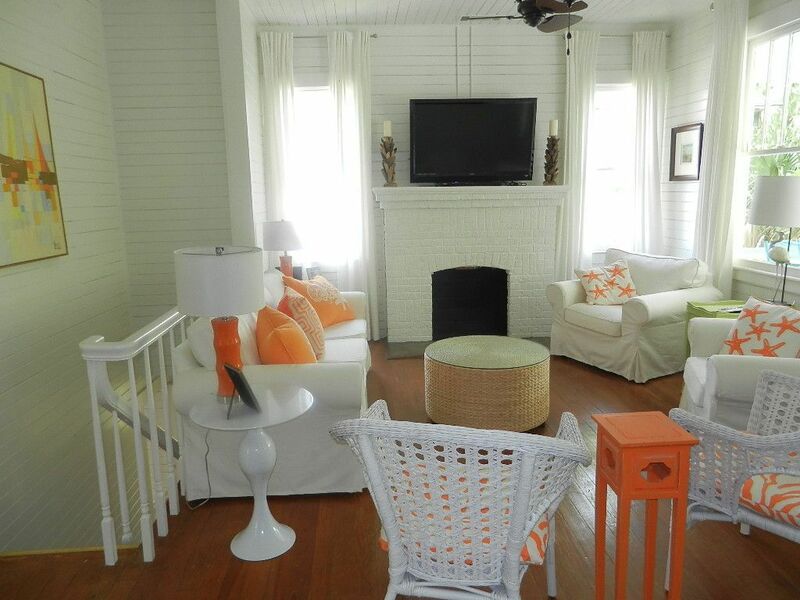 Very Very Vicky: Coast Awhile Cottage: The Living Room Is Ready For Company! 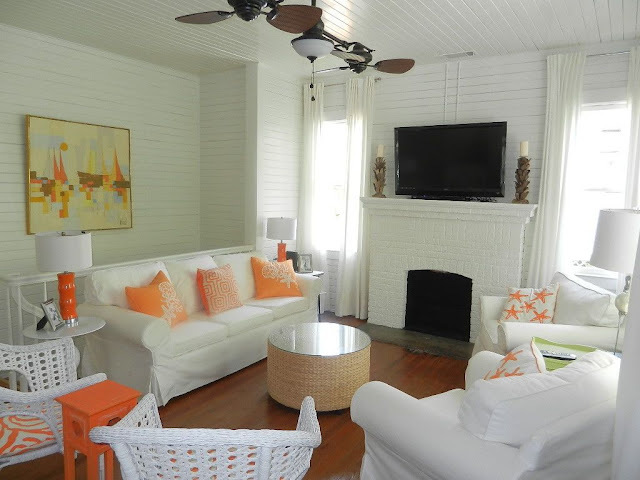 Coast Awhile Cottage: The Living Room Is Ready For Company! As you can see, I was in an "orange mood" and it "just so happened" that Jane Coslick and I found some great throw pillows that fit the bill! Jane had some cool zebra print fabric in orange that we used to cover the plain tan chair cushions from Ikea to make them more eye-catching. The little orange table was a flea market find that was just right so the friends sitting in these chairs would have a spot to set down their beverage glasses or book. And it "just so happened" that I had salvaged the sailboat painting from The Coral Cottage "before" and it worked out wonderfully here! I love sitting here in the living room but I think our imaginary dinner is almost ready so the next time I blog about Coast Awhile Cottage we will visit the kitchen. Let me go check on dinner--you just stay here and relax! It reminds me of a dreamsickle (??) ice cream! Love it..just the right punch. All your "just so happens" is serendipity...whats for dinner? Let's cook up something good!